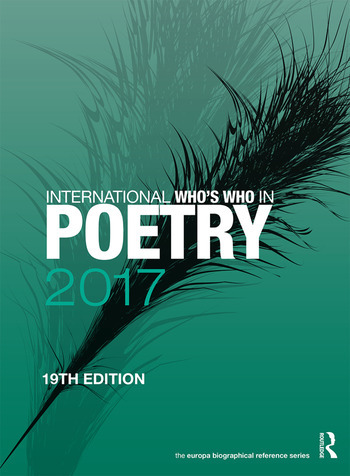 The nineteenth edition of the International Who's Who in Poetry is a unique and comprehensive guide to the leading lights and freshest talent in poetry today. Containing biographies of more than 4,000 contemporary poets world-wide, this essential reference work provides truly international coverage. In addition to the well known poets, talented up-and-coming writers are also profiled. - appendices section lists international prizes, organizations and poetry publications, lists of Poets Laureate. Part 1: Biographies Part 2: Directory Appendix A: Poetry Awards and Prizes. Appendix B: Poetry Organizations. Appendix C: Poetry Publications. Appendix D: National Poets.